Chris Blog: The making of "We Totes Love Type"
The making of "We Totes Love Type"
Yesterday, Ligatures type club launched their online shop with their first product, the official "We Totes Love Type" tote bag. I have been working on this project for months, and it was so exciting to see everything come together in the last couple weeks. I wanted to design a tote bag that 1) people would use, and 2) people would be proud to show off. 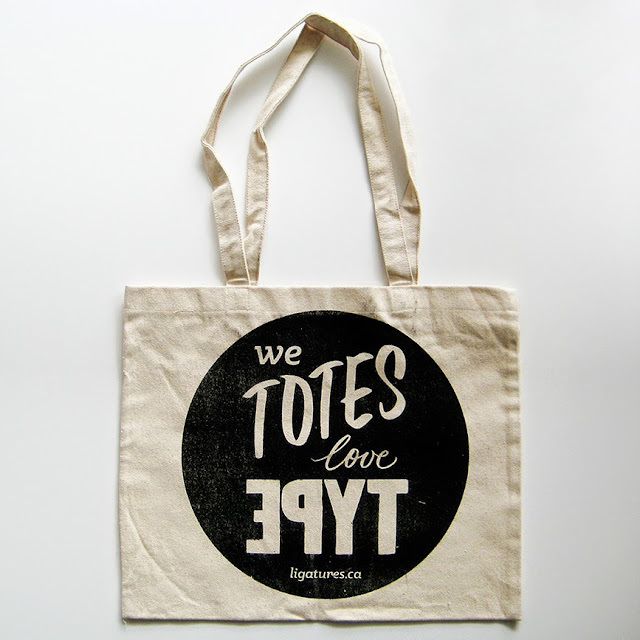 I settled on "We Totes Love Type" for the front (a fun play on words!) 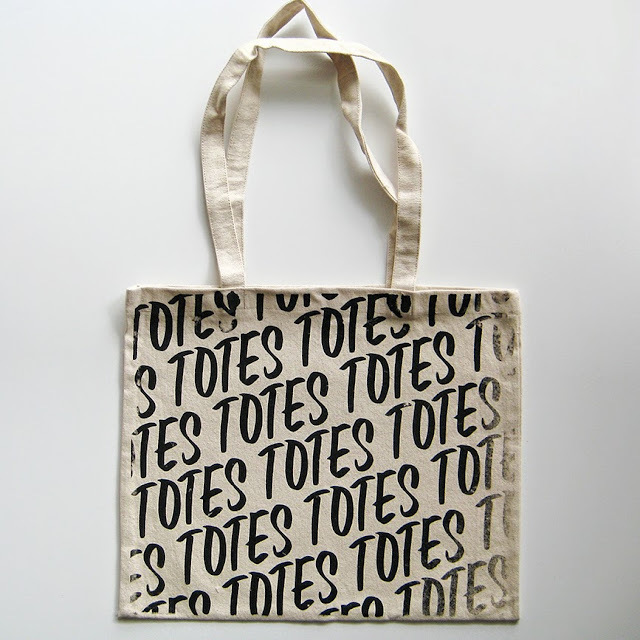 and a pattern of "Totes" lettering on the back. Below is one of the original sketches. I whipped out my brush pens and did a lot of lettering until I came up with the perfect "Totes" text. The "love" text was based on some previous lettering I did for Ligatures. And the word "TYPE" is based on actual wood type, courtesy of Snap + Tumble letterpress. Thanks, Tanya! After sourcing several canvas tote bags across Toronto, I finally found one really great source that offered super strong, thick totes at a fair price. I finalized the layout and then got in touch with Paul Dotey, who offered to help out with the screen printing. Leslie & I went to Paul's studio one evening in May for an epic tote printing party! Here are some behind-the-scenes shots. And here are the final totes! We're super happy with the results. You can check out lots more photos on the Ligatures blog. Please hop on over to the Ligatures shop and pick up your tote today!